Sugar. It’s delicious. We snack on it, add it to foods, and don’t even realize that we’re feasting on it daily. While we love sugar-laden foods — bread, pasta, chips, soda, candy, fruit — no one likes what sugar is doing to our bodies. 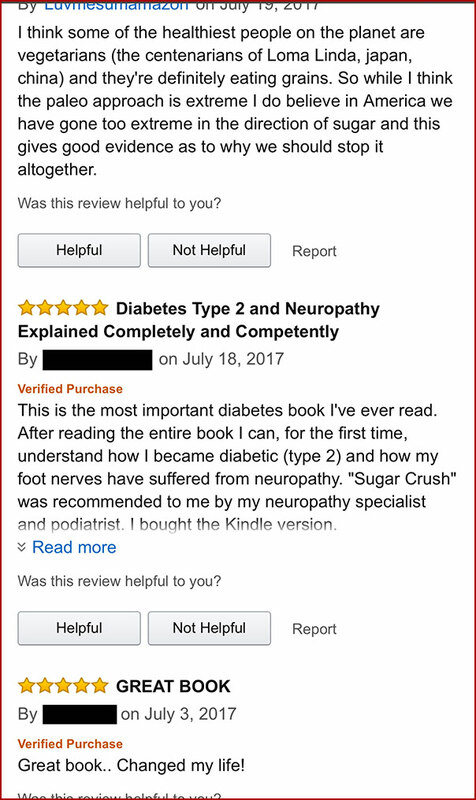 And among the most vocal critics of sugar is Scottsdale podiatrist Dr. Richard Jacoby, the author of “Sugar Crush,” a book that outlines how sugar is poisoning our bodies and causing inflammatory diseases. Inflammation is a term used to describe the body’s reaction to something harmful. A rash is an obvious example of inflammation that you can see. But inflammation occurs inside the body — in the joints, in organs, in our nervous system. And when a part of the body becomes inflamed, an illness or disease is the likely result. The simplest way to identify inflammation is to look for the suffix “itis” in a diagnosis. Hepatitis is inflammation of the liver. Bronchitis is inflammation of the bronchi. Dermatitis is inflammation of the skin. According to the National Institutes of Health heat, swelling, pain, redness and loss of function are all indicators of inflammation. The bigger issue for physicians like Jacoby is the later results of inflammation: chronic disease, including cancer. 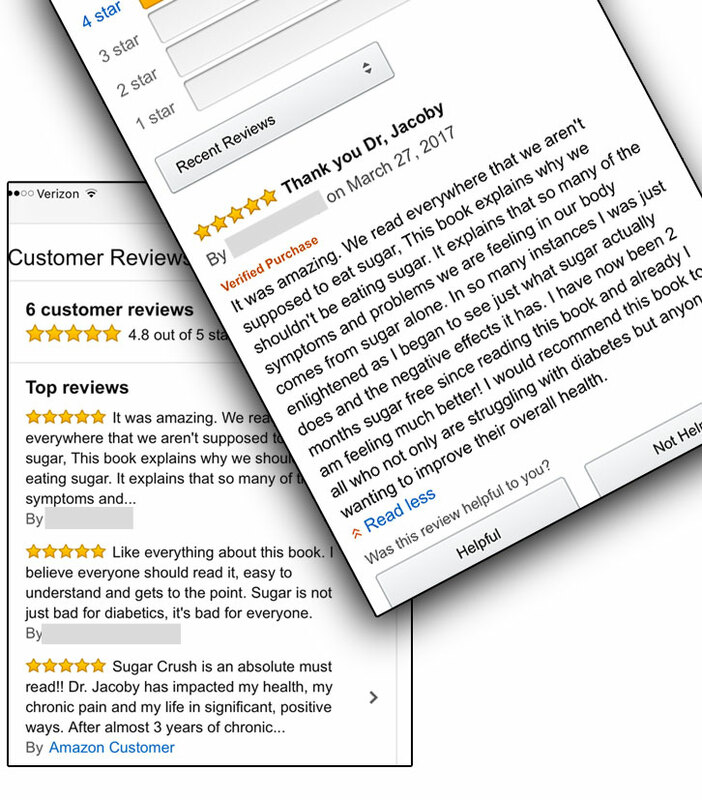 In “Sugar Crush,” Dr. Jacoby recommends trying a ketogenic diet, is a diet that contains very little sugar or carbohydrates and is high in ketomes, which is the byproduct of burning fat. In 1931, Otto Warburg won a Nobel Prize when he proved that fructose causes cancer. Ketomes kill cancer. For Jacoby, the equation was clear: Sugar causes cancer, ketomes (fats) kill cancer. And, Jacoby suggests, if a ketogenic diet kills cancer cells, then what else might it cure? 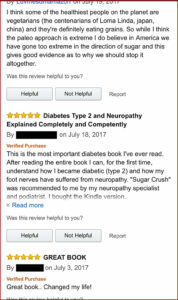 He’s had patients who suffer from diabetic neuropathy transition, and remain, on a ketogenic diet, and he’s watched their symptoms disappear. It’s a diet that Jacoby not only recommends, he also practices it. 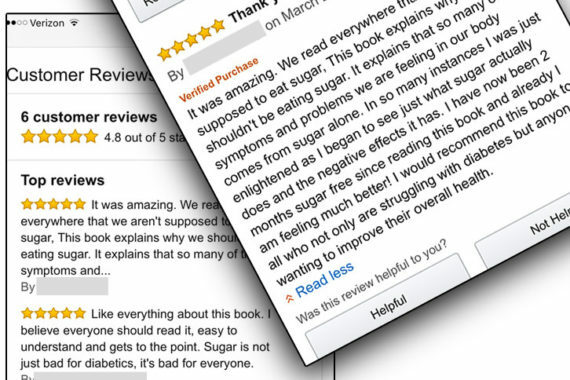 In “Sugar Crush” Jacoby teaches how to read labels for hidden sugars, and how to eliminate them from your food routine. He knows removing sugar from a diet is difficult, but he also knows the cost of eating sugar is prohibitive. Removing sugar from your diet is the single most important step you can take to improve your health. We’ve become so addicted to the added sugars in our diet that we don’t really taste what we’re eating. To help my patients better understand, I have a simple rule of thumb, “if it tastes good, don’t eat it: unless you read the label.” If it has sugar in any form it’s going to spike your insulin. Over time, this can lead to metabolic syndrome, diabetes, neuropathy and eventually cancer. Here are some easy-to-remember guidelines to help you make better food choices to improve your health. 1. Give up sugary drinks. I’ve had patients who cheerfully gave up doughnuts, pasta, chocolate, and other sugary foods, but absolutely refused to give up diet cola. They felt that compared to other foods, it was a harmless, no-calorie pleasure. Once my soda-addicted patients realize that diet soda isn’t such a harmless pleasure after all, they can usually manage to cut consumption or give it up entirely. Real fruit juice is another sugar addiction that’s extremely difficult to abandon. After all, every breakfast cereal commercial you’ve ever seen also has a glass of orange juice somewhere in camera range. Plus, OJ just tastes good. Drinking a glass of any sort of 100% fruit juice, however, isn’t much better than injecting it into your bloodstream. The sugar in the juice is absorbed almost instantly — that’s why the emergency procedure for someone with hypoglycemic shock is to give him orange juice to instantly raise glucose. But if you already have high blood sugar, that’s the last thing you want to do. 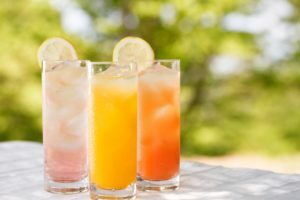 Fruit drinks are nothing more than flavored high-fructose corn syrup and should be completely eliminated from your diet. Sadly, the introduction of the juice box in the 1980s came shortly after the introduction of HFCS and gave a big push to the obesity epidemic that also started then. Suddenly it was easy and cheap to give your kids regular doses of addictive sugar water. Sports drinks and energy drinks are also a big part of beverage consumption. They’re full of sugar, artificial sweeteners, and additives you don’t need. Skip them. Once in a while, fresh fruit can be a good substitute as you break away from processed sugars. Yes, fruit contains fructose, but in much smaller amounts compared to high-fructose corn syrup. This fructose is also wrapped up in the fiber of the fruit, which means your body needs to digest the fruit for a while before the fructose is released. The fiber in the fruit also slows absorption of the fructose, while helping you feel full. Some tropical fruits, such as mangos and pineapple, are very sweet. Limit how much of those you eat — one serving a day is plenty. Fruit that has been peeled, cooked, and processed (applesauce, for instance) is no longer fruit — it’s sugar. Same goes for fruit that has sugar added to it in other ways, such as dried cranberries or canned fruit in syrup. 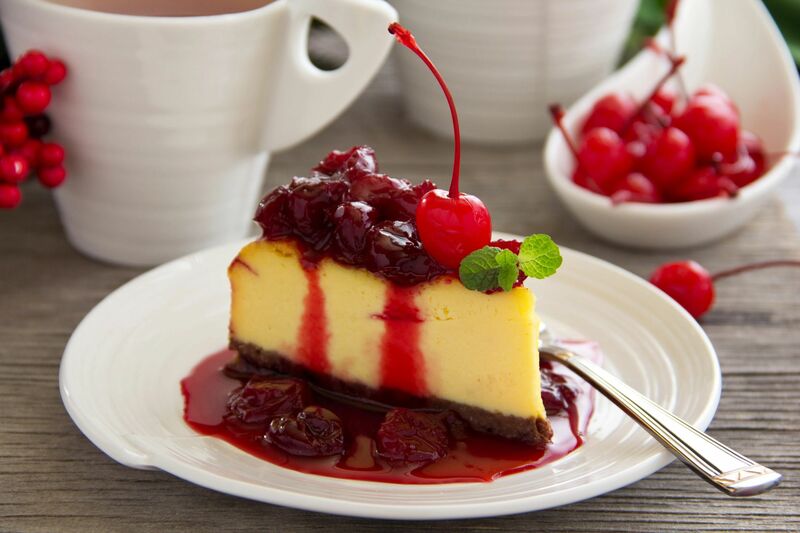 To really kick your addiction, though, you need to cut back on sweetness, even if it’s coming from fruit. Now would be a good time to switch your snacking over to foods that have less of a sugar punch or no sugar at all. Nuts make an excellent choice — they’re crunchy and satisfying, plus they give you a lot of great nutrients like magnesium, fiber, and omega-3 fatty acids. Seeds such as sunflower seeds or pumpkin seeds are great as well. Raw vegetables such as carrots, celery, cucumbers, and sliced peppers are great snacks, especially if you have them with a sugar-free dip such as hummus, guacamole, or salsa. Try keeping a bag of baby carrots, already peeled and washed, in the fridge; you can prepare other vegetables in advance as well. For meals, choose sides that have a sweet flavor, like sweet potatoes, or roasted carrots or squash. Candied sweet potatoes are clearly out, but try sprinkling sweet spices such as cinnamon, allspice, nutmeg, or cloves on these foods to bring out their natural sweetness. 3. Use real cream, not milk. Milk, despite all the advertising about how good it is for you, is filled with sugar. One cup of milk — whole, skim, or 2% — has 12 grams of sugar in the form of lactose. Leaving aside that many people can’t digest lactose, that’s 3 teaspoons of sugar. In fact, once all healthy animal fat is stripped away from milk, the thin, grayish liquid called skim milk is actually just sugar water. And most milk substitutes, such as rice milk, soy milk, and almond milk, contain added sugar. Check the labels and use real cream in your coffee instead. Bet you thought soy was a health food. Despite the best efforts of the FDA and marketing departments within Big Agra, there are many nutrition scientists who think the jury is still out regarding this point. Meanwhile, we know that soy contains phytoestrogens, which mimic natural estrogen,* not to mention the fact that 90% of soybeans grown in America are genetically modified to resist herbicides. As a result, Big Agra farming practices spray soybean fields liberally — and soybeans grown this way contain large residues of the carcinogen glyphosate, a major ingredient in Monsanto’s Roundup herbicide. Most of us don’t eat that many soybeans, but it is the second-largest U.S. crop after corn and is widely used as feed for commercial livestock. It turns up in grain-fed table meat, cooking oil, and processed foods in general (especially those prepared with cooking oil derivatives). Soy does have nutritional proteins, but even when grown organically it naturally contains numerous antinutrients that can result in growth problems in children, interfere with iodine metabolism, disrupt endocrine function, and prevent your red blood cells from properly absorbing and distributing oxygen — to name a few. These negative compounds are mitigated during the fermentation process (as seen in Asian cuisines), but most Westerners consume unfermented soy in the form of soy milk, tofu, and soy infant formula.